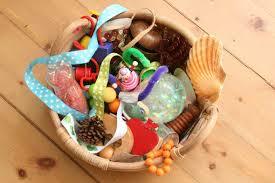 When the lovely lady at our mummy and baby group introduced us to sensory toys we were hooked. Our group had both the shop bought sensory toys and the ones you can make yourself, Marcia (the lovely lady) even showed us how to make the various items. Nathan was fascinated with all the colours, shapes and textures that were introduced to him. He also had regular toys, but you would be surprised how many have their origins in sensory play, Nathan particularly loved his lamaze toys (activity puzzle, peacock, moose, octopus, foot-finders, and monkey), wooden shapes puzzle, his mamas and papas activity tray & baby snug, and his taggy blanket. I also read that babies see in black and white, or high contrasting colours, best, so Nathan and I chose a jellycat bunny for the new arrival. We also chose some more stereotypical gifts… a wooden animal puzzle from marksandspencer.com, a sensory ball from johnlewis.com, The Day-by-Day Baby Book, clothes and a personalised blanket knitted by my lovely and very talented friend Ellie’s Mumma at Crafty Claire’s Creations. I have then thrown in a bottle of oilatum bath as we find this is better than other baby bath products and there is a family history of eczema. There is also a small stash of disposable nappies in there, just incase they get caught out whilst washing the reuseable ones they have. It’s all labelled up with what each thing is, how to use it and what areas of development it assists. I can’t wait to give it to him, a box full of exciting things and lots of love too. This entry was posted in Babies and tagged baby, baby class, books, development, gifts, learning, play. Bookmark the permalink. 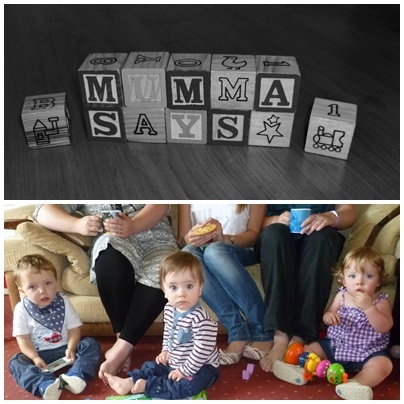 ← I am a Mummy and I will be Yummy!